With this I`m stepping into Brotbeutel territory because this is from Hannover. 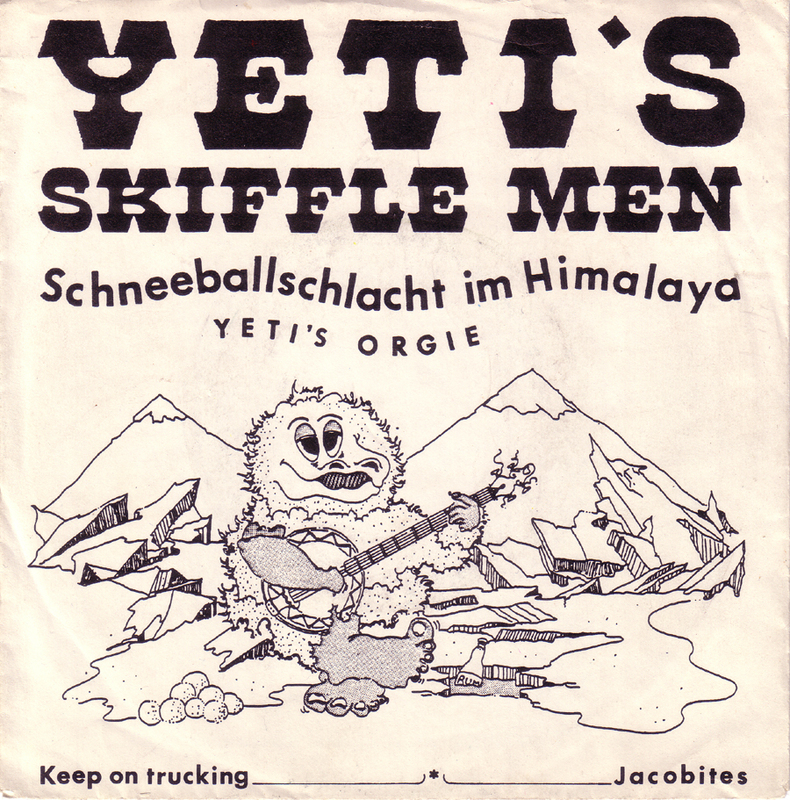 The Yeti`s Skiffle Men emerged in the booming Jazz and Skiffle szene of the 70`s and played mostly locally. They appeared on TV and were interviewed for the radio. 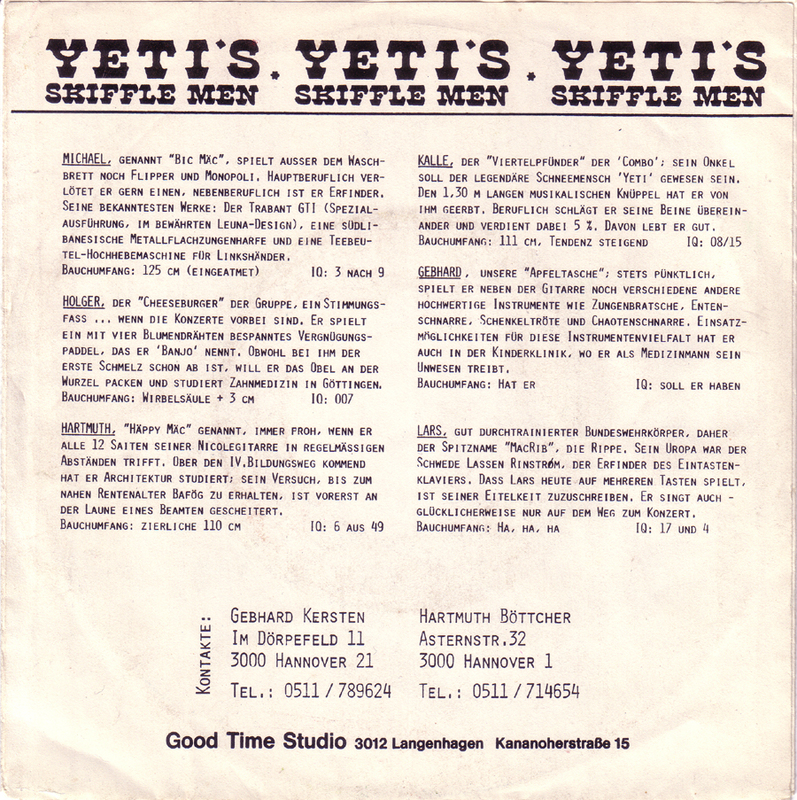 In 1976 they recorded a full album on the local Hannover WAM label. 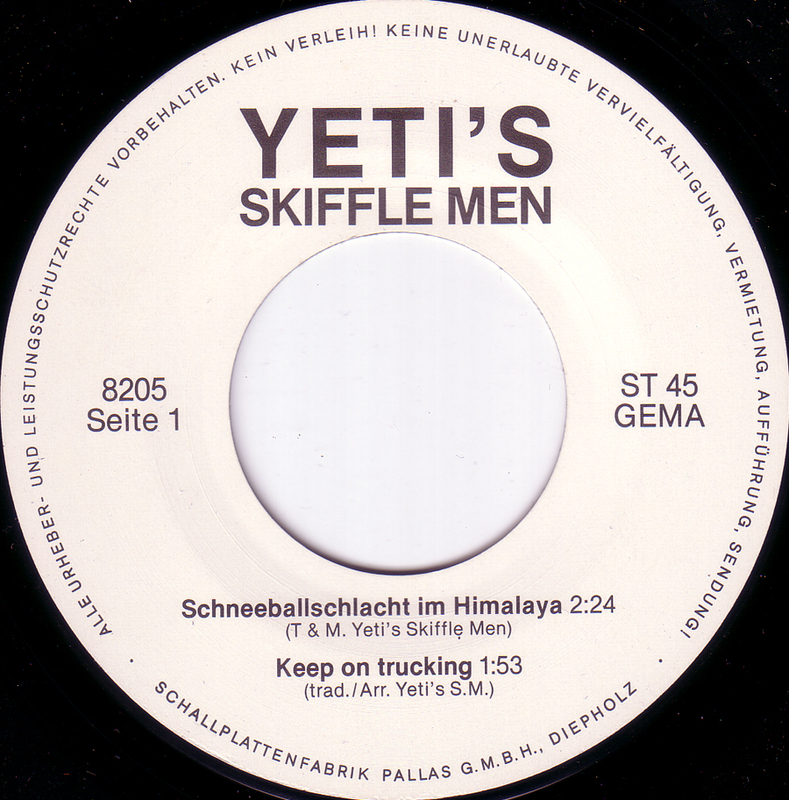 These funny songs about Yetis, the Himalayas and Orgies appeared on their own first privately pressed record. Great silly Jazz music!